RebelWell added a new photo. 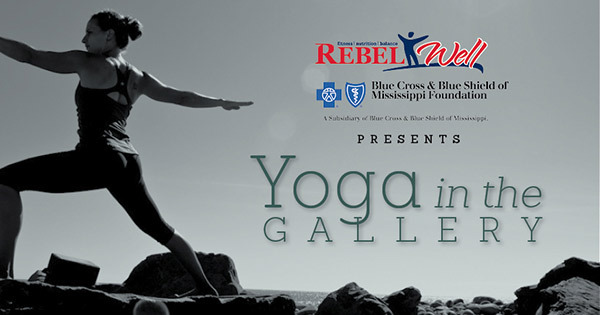 RebelWell and UM Museum present Yoga in the galleries. Join us for yoga pop ups May 3 and May 11 at 8:30am. These classes are free and open to everyone. Please bring a mat. Once you commit to healthy eating and exercise, holding yourself accountable is essential to achieve success. The goal of these weekly meetings is to serve as a support system to members who are going through similar challenges to make nutrition and exercise changes. The meetings will provide you with strategies and motivation on a weekly basis to attain that goal. Each week a nutrition or exercise topic will be discussed and members will have the opportunity to share their achievements and challenges. The support group will be supported by a nutrition expert, a dietitian, and an exercise science graduate student. The goal is that when nutrition and activity goals are in place, change that will lead to lasting behavior changes will take place. According to the American Psychological Association, people who attend group meetings or enlist the help of others to support their weight loss efforts have more success at keeping excess pounds off than those who try to do it alone. At these weekly meetings, you will have the option to weigh in and keep track of your progress. 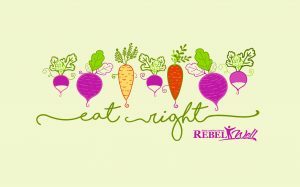 You will also find out about other RebelWell programs and services that can support your journey to a healthy you! Students and Employees are all welcome! 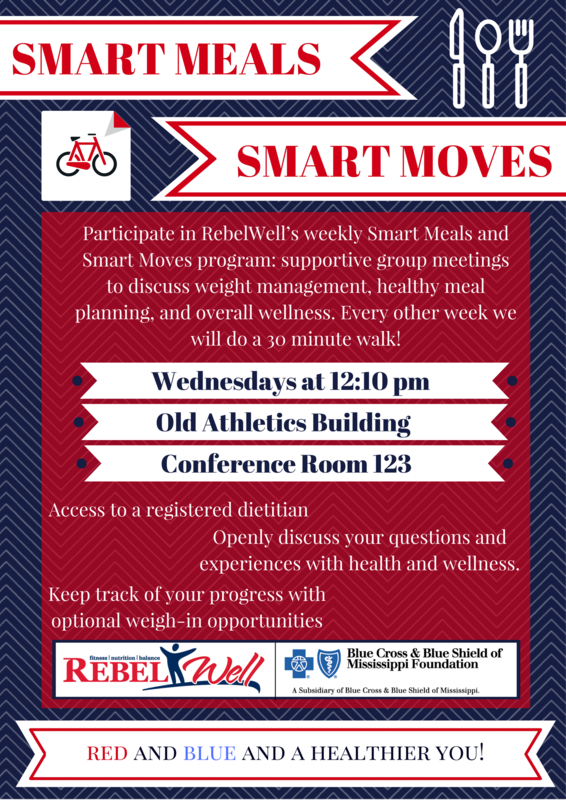 Throughout the year, workshops, challenges, demonstrations and other wellness-related events are offered to educate the Ole Miss and Oxford community on a variety of wellness topics, including nutrition, physical activity, stress and time management, health screenings and a host of other wellness-minded areas of interest. Most RebelWell events and programs are free and offer opportunities to win great prizes for participation. Please join us as your schedule allows. 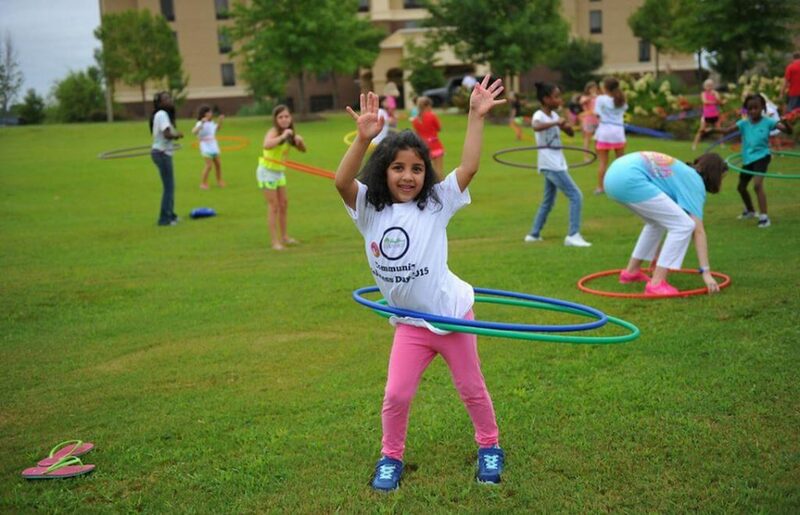 See a comprehensive list of programs, activities, and events. Email us your upcoming Wellness-related events! Click here.